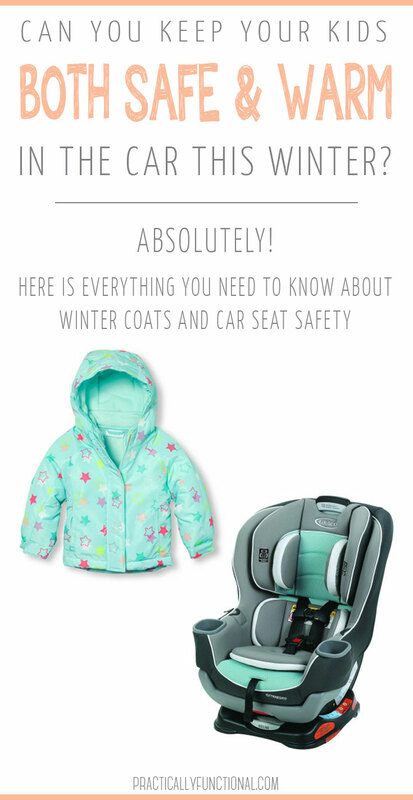 Home > Family > Coats And Car Seats: How To Keep Safe AND Warm! Can you stay safe AND warm in the car this winter! YES! 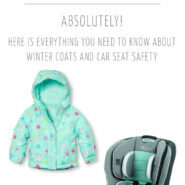 Learn all about coats and car seat safety and how to tell if you child’s coat is too bulky to wear in their car seat! Winter has definitely arrived and we’ve had some pretty cold days here in Central Kentucky. Heavy winter coats may seem like the perfect solution for keeping your little ones warm in the car on these cold winter mornings. But are they really? Do coats and car seats mix? 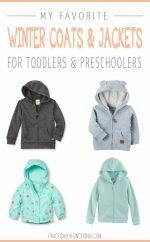 As I said in my last post about my favorite winter coats for toddlers and preschoolers…warm enough is warm enough. And I truly believe and stand by that. However, there is no such thing as safe enough. A scenario is either safe or unsafe. There is no in between and there is no settling when it comes to the safety of my children. 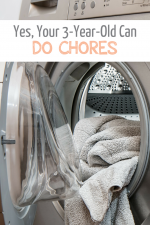 Last month I wrote about how my kiddos are only ever put in the car in a fleece jacket and that heavy winter coats are reserved for outside play. You may have been very confused by this and had lots of questions about my choices. (I would absolutely love to hear them…so please comment!) There is a very good, strong, and important reason why my children will never wear a heavy winter coat in the car. It simply isn’t safe. Why? Let me share with you! Heavy winter coats are incredibly bulky and create airspace between your child and the car seat straps. You do not want any airspace. In the event of an accident, the force of the crash would cause the jacket to compress even more than it did when you tightened the straps initially, and suddenly the straps would be too loose and would allow your child’s body to move freely out of the car seat via the airspace. Scary isn’t it? Yes! In order for your child to be safely restrained in the car seat the straps should fit tight against their body while they are wearing just a shirt, or a lightweight sweater. You should not be able to pinch any the strap material at the shoulders. Also, the chest piece should be at armpit level. If you put your child in the car seat in a winter jacket and had to loosen the straps so they would fit, the straps are too loose! They should never be looser than they need to be to buckle them in wearing just a shirt; if you loosen the straps to accommodate a bulky jacket, the straps are no longer tight enough to keep your child safely restrained should an accident occur. So, is it possible to keep your kiddos safe AND warm in the car when it’s below freezing? Absolutely! Put them in the car seat in a lightweight fleece jacket. Make sure they are fastened in tightly and appropriately. Then put their winter coat or a blanket over them. This will ensure they are safe (the main priority) AND cozy. This is one small change with an incredibly big impact. So how big of a deal is this really? Big enough that even the TODAY Show did a segment on it. You can watch it here. For whatever it’s worth, I do care about you and your kiddos. I want them to be safe in the car. That’s why I took the time to research and write this post, to help get the word out so more and more parents are informed and more and more of our precious little ones are safely restrained in their car seats during these cold winter months. Please spread the word with all your friends with little ones so that they can stay safe, too! Remember…there’s no such thing as “safe enough”. You can make a difference in the life of a little one. It’s a small change with a huge impact! 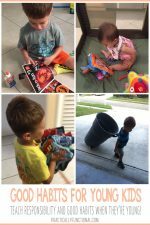 Protect your little ones and inform your friends! Please don’t take this as my disagreeing with your post. However, that child dummy in the Today clip is not properly strapped in when the coat is on. The chest harness is waaay too low. Freeze frame it at 1:35 and you’ll see what I mean. They need to actually show it done properly if it’s going to have an impact enough to change minds.